Business First Steps had avoided the limelight as long as it could. I was a protective mother who thought her baby wasn’t ready for the real world – maybe a few playgroups i.e. small exhibitions. The Prysm Guys found my URL via Google and gave me a call, they said my business will be good for the show and the show will be good for my business. Well after much ado (two years actually) we said yes, an alliance was formed and the panic began. Business First Steps had never exhibited at the Business Show before, what is expected? What do we offer? How can we stand out? As one of the late entries to the show, we were lucky to get a good stand near the entrance – helped a great deal. So we decided to give The Business Show Olympia 2012 a go. I am a firm believe that aims and objectives are very important for any step in life. I made a long list of what I wanted my business to achieve at the show and choose the two most important ones. Then I had to decide on how we will achieve these goals. We weren’t looking to sell our services but to create awareness of what we do. I think we achieved that, judging from the feedback we are still getting now. We were lucky to have some great visuals which became the focal point as the day went on. A lot of people who came to our stand started using our strap line saying “please navigate me; I want to start a business”. I have the founder of mumsclub – Jane Hopkins to thank for her tips; she knows how to set up a great stand; in addition to the graphic designer at We Create Media. Get people who love people to help out at your stand. Business First Steps is a small business but I was privileged to have two great guys at my stand engaging people all day. They did an even better job than I ever could. I learnt that you should showcase your best products or services and not all of them as people do get confused with too much going on. Then be ready to answer questions all day. I felt as if I had an internal record on repeat, I have never talked so much in my life. It was an absolute thrill to be able to interact with so many people and talk about what we do. We also gave out a lot of advice too, as you never know if you will see them again. I hope they make good use of the information we shared. Wear comfortable shoes. I saw a lot of ladies in heels on both days, initially I felt under-dressed in my flats but my back thanked me for it later. It is a long day and you must be prepared to stand for a long time, we were so busy we didn’t have time for lunch on the first day. I guess we were extremely thrilled too, that kept the adrenaline pumping and hunger at bay. The exhibition hall was surprising warm too, considering the low temperature outside on both days. So we were able to dress up nicely with no fear of the weather outside. On the first day I was so hungry and decided to have a few sweets but each time I turned around someone showed up. So eating at your stand is a no-no especially if you have a busy stand. A little bit of chocolate can boost your mood though, so I learnt to sneak off for a bite during the quiet moments. Luckily, the cafe was just behind our stand so we could grab a bite pretty quick on day two. I was privileged to hold one of the seminars, which was packed with people standing outside too. Some of the people who attended the seminar had circled the seminar as a ‘must attend’…good booster for us!!! It was a great opportunity to speak to so many people about navigating their business first steps and also showcase what we do. Selling might not work as much as sharing information and giving people the opportunity to keep in touch. People were receptive to what we had to offer as long as we weren’t asking them to make a commitment and part with their money. Quite a number of people have been in touch afterwards which made the exhibition worthwhile for us. Now that Business First Steps is no longer a Business Show virgin, we feel confident that the next opportunity will be even better. The question is will we exhibit again at the business show? Oh Yes We Will!! Will love to hear from you if you are a business show virgin or veteran. Tips are always welcome. I had the glimpse of Asda’s depot recently. I was amazed at the number of activities that go on behind the scene, whilst we innocently shop for our daily needs. There were boxes and crates everywhere, people unpacking, packing, moving, checking, listing, scanning, noting and buzzing. There were just so many people involved in getting the stock from suppliers to shelves. If deliveries were dumped all over the Asda depot floor without being checked in, left unpacked for days then delivered late to the shop floor. The innocent people who come in to the store just to pick up a few groceries will probably not be able to do so. Your Personal Warehouse Stacked to the Roof As you may have noticed from my previous posts, everyday life always gets me thinking. What came to mind as I observed this depot was the bare truth that we are all custodians of personal warehouses. The same delivery process is applicable to what is occupying the space in our personal warehouses. Many of us have got huge skills, talents, gifts, experiences, services, products etc that should be accessible via the ‘shop floor’ so the numerous people who need what we have can gain access to them. But for reasons best known to us, our depot is littered with unopened boxes that are yet to be shipped to the right location or arranged on the appropriate shelves. I am also guilty of this syndrome. I started analysing our exhibition at the recent business show, I was truly amazed at the number of people who need the services we provide. Whether Business First Steps went to the show or not, it will have taken place. The only difference being many people may not be able to access BFS’ warehouse to pick up the services they need. The same goes for those thinking of starting businesses, community groups, social enterprise or new career – what you have is the solution to someone’s problem or the answer to someone’s question. The question is, are your goods on the shelves where they can be accessed? If you are already running a business, are you maximizing the products or services you offer? Are you constantly restocking your shelves? Who is Taking Stock of Your Stock? Many of us are probably taking stock of what we have done over the past 10-11 months. I try as much as I can not to be swept away by the “what have you achieved this year” syndrome. It doesn’t matter to me if you set goals in April, June or November. The most important aspect is not the time you set the goals but the actions that follow the goals. According to Wikipedia 2012 ‘Stock-taking or inventory checking is the physical verification of the quantities and condition of items held in an inventory or warehouse. How often do you take stock of the resources delivered to your warehouse? Are you using your knowledge, skills, talents and resources to add value to the lives of others and yourself? Are you marketing the products in your warehouse to those who need it? One of the key elements of stock taking is to understand your own strengths and weaknesses. What manpower have you got to move your stock? 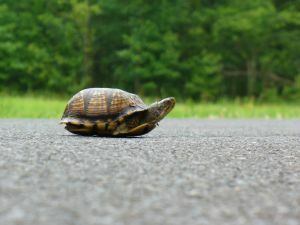 I am reluctantly letting go of tasks that slow me down. I now let someone else do them (and stack their own shelves) whilst I can concentrate on what matters most to me. Available resources – including funds, knowledge, support etc. If the task at hand is one of your pet hate why don’t you delegate it? Just imagine if Asda directors/managers decide to do the depot work themselves, rather than put people in place to move the products to the shop floor. All those intricate details need to be taken care of and they choose to hire the manpower for it. In one of my previous blogs I wrote about my new acronym ADO – Automate, Delegate and Outsource – this is helping me a great deal, I feel a lot lighter with less baggage. There are just so many tasks one person can get done at any given time. I have come to realise that there is no point feeling guilty about tasks you may never get done – I felt that way for a very long time. Be realistic and get help, however you can even if you have to trade by barter. If you are thinking of starting or growing a business and you can’t navigate through the numerous steps, get help! Do not make the mistake of convincing yourself that you will get it done and let another year come and go. Stock taking is a necessity but the stock-taker has the power to make sure the floor is adequately stocked and meeting the needs of those who want to buy the goods. So if you have to take stock as we approach the end of the year, do it with the mindset that you will get your goods to the ‘shop floor’ before they expire in the depot. Practical and Personalised Business Start-up Coaching, Services and Support. Is Honesty Still the Best Policy in Business? I love the internet and the infinite possibilities it offers people like us who do business online. But I also know there is a dark side to the internet world where the bad boys reside with their friends – malware, spam and others. An innocent click can lead you down the wrong path, taking up your time and money to put things right. As much as the internet is an infinite world where customers may never meet supplier, I think we need to remember the basic moral value called Honesty. A lot of people are actually internet adverse because they have been burnt a few times. Who’s to blame them? There will always be those businesses that use scrupulous means to get a few sales. I hope you will never be one of them. Do you need quick sales? Are you going to join the bad boys or hold on to your integrity? A lot of businesses online are in it for a quick buck. Customer relationships means nothing to them, if they sell to you once, they believe another naïve person is just a click away. If you are starting out in business, do not build a business on promises you cannot deliver. If you can only offer two of your services/product deliveries a month, start with that until you are able to manage your schedule better. Do not book ten deliveries and end up disappointing nine. It will be harder to win them back a second time around. I believe it is better to have one customer over time with good referrals, rather than 100 customers who never come back. That is what gives business longevity. I delivered a seminar recently and promised to send the presentation notes to those that were interested. After I sent the notes out, I could not believe the responses. Most of them were just surprised that I delivered what I said I would since there was no exchange of money. Consider this, even if you do not get to see your clients face to face, still maintain honesty in your dealings with them. Deliver on your promises and if you can’t, communicate with them and let them know. They will appreciate you for it. Being a small business is a challenge in the fast paced world of big businesses, franchises etc. We can’t offer the huge discounts the major chain stores can, but we can offer added value products/services supported with excellent customer service. You job is to ensure all your products and services have the honesty tag attached to them. I know this might sound strange but I always dread parking in those free two-hour parking bays. Some of them will state free two hours parking limit, no return within three hours. I question if I return later than two hours whether I will be booked for my tardiness? 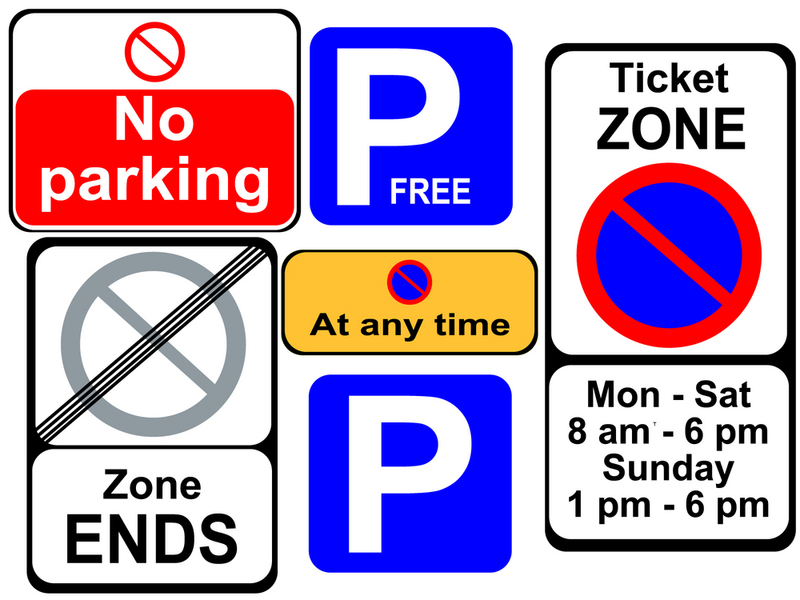 Does anyone actually set the timer for cars parked in two-hour limit free parking bays? I really will love to know the answer but not at the expense of a parking fine. The parking sign got me thinking (as I do) about business start-up and development. A lot of us park in these bays with the notion of just staying for two hours and we end up staying there for much longer than we anticipated. Ok, we probably will not get a physical parking ticket for hanging out in our ‘comfort zone’ bay longer than we want. But life does pay back to those that do take action and those that don’t – in the long-term. The question is what payment will you prefer? You may have even started a business but there is no noticeable growth to show for your efforts. The number of your customers are still the same after so many years. Products or services are still the same range. Someone else has done something similar to that business idea you have been nursing for a while. My question is “have you exceeded your parking limit” in your current bay. What happened to the goals you set at the beginning of the year about the things you wanted to do with your idea or your business? Have you moved from the parking bay, drove around for a while and ‘returned after three hours? Ok so the first business idea or new product didn’t work out after putting in so much effort, time and resources. I understand the disappointment but please do not return to the same old bay. Why don’t you explore other parking (business) opportunities instead, for all you know you might get a better spot with little or no restrictions. I know what it’s like to be charged up momentarily, ready to face the world but feel dejected when challenges crop up forcing you to go back to your old bay. It is so easy to get caught up with life and what it brings, but to succeed we just have to fight to achieve our goals or we will never get to the right destination. No successful business owner will tell you that running a business is an easy feat. To excel and go beyond the thought stage of your idea, business, products or services, we must push beyond the barriers. We need to set realistic goals and achieve them through consistent and persistent actions. If you have been working on a new product or service for your business, how can you accelerate the process? Do you need to set realistic goals and deadlines, get help or a mentor, get more resources or gain more knowledge? Do you need to set time aside, reduce your workload so you can work on your business rather than in your business? Are you a start-up? Consider what you need to do to actualise your business idea. Make a list of the things you need to change and start taking action to make headway with your idea. What are your roadblocks? 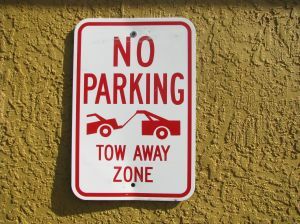 Identify the actions that are keeping you in that parking bay and work toward eliminating them. Be uncomfortable in your ‘comfort zone’ and choose to make conscious efforts to grow – it offers great dividends and rewards in the long run. As part of my decision to Automate, Delegate and Outsource, I decided to outsource my laundry load to a laundry service. My first trial went very well, even though I did not know much about how they operate. I wasn’t sure if I should count the number of items I send it, check it afterwards etc. Anyway the service has been going very well untill the last weekend when I discovered some clothes were missing. I wasn’t sure of what could have happened as I expect them to take an inventory before and after washing them. Anyway I stopped by on Monday to find out if the remaining clothes had been discovered and luckily they were. What I learnt today as well was that there were four ladies who provide the laundry service on a shift basis. The lady who attended to me today is always in high demand and I also learnt that people specifically wait for her shift before they bring their laundry in. Now that got me thinking….even as a laundry lady, you can distinguish your service from others through dedication and perfection of your skills. Lady A – her customer service was impeccable, I was quite impressed with how attentive she was when I came in for the first time. She educated me about her services and what they offer. Lady B – she is just superb, she is not only friendly but also shows you what she has done when you come to pick up your laundry load. She pays attention to detail and this is evident in the way she handles the clothes. She folds the clothes with such care, making them wardrobe ready. I was so impressed with her skills. Lady C – not very attentive and haphazard with her work. Forgot to pack some of the clothes for pick-up. Quite careless with her folding and packing. Lady D – never met her. So the question I will like to ask you is which one of the ladies are you? 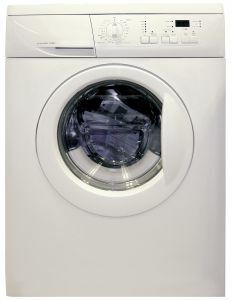 I never thought there was anything extraordinary about a laundry service until last week. It reminded me that you can distinguish yourself by the service you provide or the products you sell, if you commit to mastering your skills and going the extra mile. You never know who is watching – so always keep your game on and treat each and every customer like your first. I don’t know about you but I have seen so many spiders this year than I have in the last few years gone by. I am not sure if I have heightened spider sense (too many spiderman movies I guess) or I am just getting older. Anyway since I am no longer afraid of them, I can deal with them quite easily. 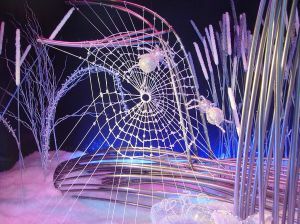 Have You Got Cobwebs in Your Content? I browse the internet a lot to read articles, blogs and other publications from a wide range of industries. I do this to keep abreast of what is happening in other businesses for the benefit of my clients. This way we can find gaps in the industry and set our businesses apart. Whilst browsing I came across so many dead links on great articles, blog posts and other publications that take you nowhere. I must have come across at least 20 dead links in the last few days which is a real shame as I would have loved to find out more about the people/businesses behind the posts. 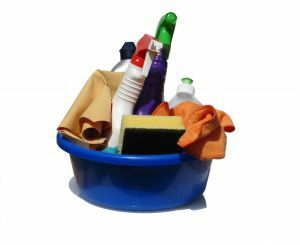 Spring Cleaning – If you do not dust your home regularly, there is a tendency that spiders will build a lot of cobwebs in every nook and cranny they can find which can be quite unsightly. Website Cleaning – The same goes for our websites too. If we don’t look after our websites and carry out regular housekeeping, visitors to your website or those who read your articles and other publications will end up clicking on dead links. Most small businesses might not be able to afford the cost of paying someone to maintain their websites all year but these simple chores can be done in-house. So rid your site of dead links as you know that no information = no customers = no sale. One of the solutions I will suggest is to link your articles, posts etc to your homepage. The likelihood of your homepage URL changing over time (except you close down your business) is unlikely. If you are promoting a temporary offer, why don’t you add the details to your homepage too. At least people will be able to find it via one or two clicks. This helps avoid the dead-link syndrome after the promotion is done and showcases your attention to detail, care for your business and visitors alike. You should also make it a habit to check your website links regularly especially the pages that are linked to your home page. Click on the links, check where they lead to and fix the dud ones. Business Start-up! If you are a new business, I know we all get excited of what is to come. But try not to succumb to the desire to show off your website URL until it is operational. It is quite disappointing to click on a hyped link and find nothing, so let the first click lead to an inspirational experience and not a deflating one. So have you got a system in place to check your website links regularly? If you do please share as a comment below. I better get my spring cleaning hat on and carry out my maintenance routine too. Till next time, don’t stop dusting. Business First Steps provides a range of tools and services for your business start-up and development. Affordable, practical and result-driven services is what we offer. I remember when I was learning how to drive and the thought of changing gears used to fill me with dread. I prayed to God that the traffic lights will always be green so I could avoid the notorious biting-point when moving on. Oh the pain of learning how to drive! I was so elated when I passed my driving test. Guess what! I was also quick to forget my driving fear, the neck pain and throbbing headaches from concentrating so hard. How do I go from Gear One to Six? Getting the kids ready to go back to school today got me thinking of why I need to change my business gear too. Every now and then I get restless with my business goals and it is always an indication that I need to do more to grow my business. Lately it seems I have been stuck in gear three for a while, business is not slow but my speed is limited to a certain level on the speedometer. You might be familiar with this – getting enough clients to keep you motivated but not enough to stretch you. I had my reasons for travelling at that speed, one being family commitments but that excuse is fading fast as my little one starts school this week. 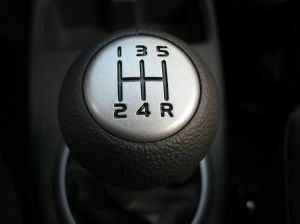 My driving instructor once told me that if I keep travelling in gears 1,2 and 3 only, I will do some damage to my car. The same goes for any business stuck in slow. So I got my pen and paper out to consider what I need to do to raise the bar and travel in gear six. After all there is no way I can travel in gear six if I move at 20mph. If I want to grow my business and make it as big as it can be, I better get ready to travel fast. So as I write my list, I will implore you to do the same. So what controls do you need to put in place to grow your business? Do you need to wake up a bit earlier in the morning or add more hours at night? Reduce the number of personal phone calls you answer during the day? Read more books or publications about your industry? Find a mentor, a consultant or someone you can share your ideas and brainstorm? Exercise more to be fitter so you can think better? If your business is stalling because you are stuck in gear one, isn’t it time you change gear so you can accelerate and reach your destination faster? It is going to be a gradual process to travel at 80mph and beyond. But first thing is to gain control of your vehicle so you can at least increase your speed. Once you can establish how to do that, then press down those pedals and change that gear stick. It is amazing how the car/business responds to that. That is my plan for the next few months. I am going to get my head down and improve my business systems so I am more effective and efficient thereby producing more profitable results. I hope you do the same and if you have other ideas of how we can accelerate to 100mph, do share. If you need help with your business start-up or development, I can help you make sense of your ideas with my Business Brainstorming Sessions and other services. Get in touch for more details.